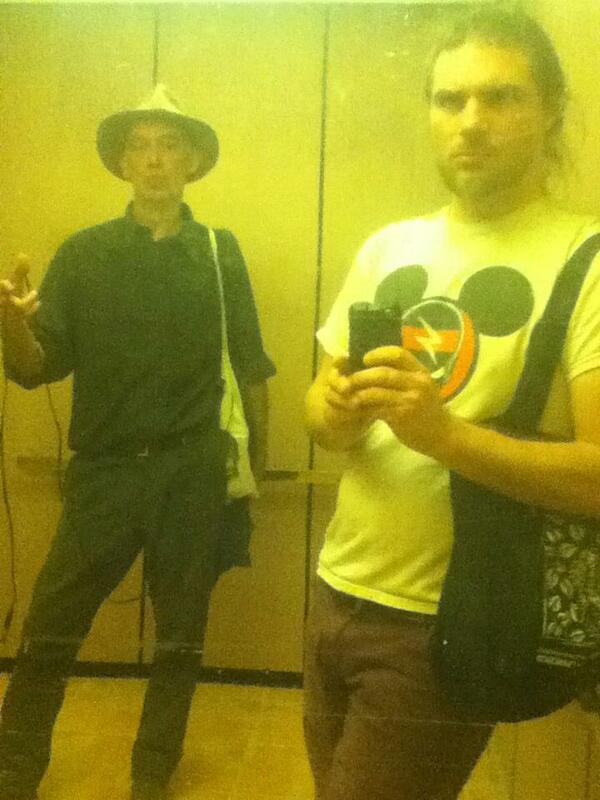 In the picture, Rinus van Alebeek (me, left with hat and micro-microphone) and Raub Roy in the elevator for the death in the Chapel of the Chimes -Mountain View Cemetery in Oakland. A small part of the recordings you hear in this episode of Tapes and Talks were made there, while I was walking around, reading out the names. This show doesnot offer straight forward location recordings, though there are some (from the Praga neighbourhood in Warsaw, or from around the corner here in Capo Vaticano), I also played parts of tapes sent by friends, or from those found in boxes on the streets or in a cassetteplayer on a flea market, (panflute xmas recordings or Simon and Garfunkel backwards), all this resulting in a continuous flow of interrupted or ruptered or erupted sounds.